Albert Einstein, whose theories exploded and redesigned our thoughts of how the universe works, died on April 18, 1955, of heart failure. He was 76. His funeral and burial were strongly private affairs, and only one photographer succeeded to capture the occasions of that unusual day: LIFE magazine’s Ralph Morse. 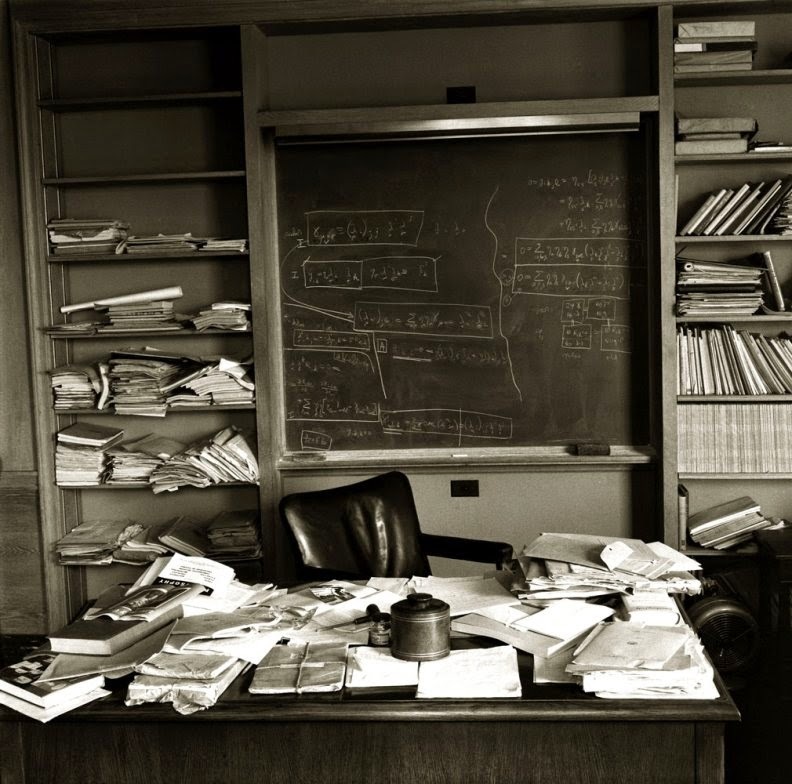 A photographer from LIFE snapped his desk at Princeton hours after Einstein had died. Einstein passed new sense to the saying, cluttered desk, and cluttered mind. Perhaps brilliance needs a little disorder.